It's appropriate that the initial letters of the two titular superheroes in this film are B-S, as that is precisely what you're given should you head to the cinema to see Batman v Superman: Dawn of Justice. Here we have a film so mindlessly unconcerned with a coherent narrative or exciting character dynamics or even any sense of fun that it becomes less a blockbuster than a prison sentence. All that Zack Snyder has set out to achieve here is a CGI extravaganza that pits the world's most iconic caped crusaders against each other. If that isn't frustrating enough already, the final blow is that he completely botches the moment in which Batman and Superman finally battle it out. 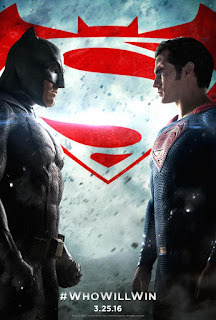 It takes about two thirds of Dawn of Justice's 150 minute run time for this confrontation to actually surface, which should, ideally, leave 100 roomy minutes to create a story, explain character motivations, reinforce relationships and set up a monumental climax. It's not that Batman v Superman fails at this, it's that it doesn't even try to achieve any of it. The film's issues begin almost immediately, as we're forced to sit through another sequence displaying the murder of a young Bruce Wayne's parents. Besides one admittedly stunning shot of Martha Wayne's pearl necklace shattering as one bullet rips Bruce's world apart, the sequence is overplayed, tedious and completely devoid of emotion. We then return to the climax of 2013's Man of Steel - a film that still suffered many of the same issues as this, but was at least fun - as we watch from the perspective of a now adult Bruce Wayne (Ben Affleck). He watches as his building and employees are demolished in the chaos and carnage caused by Superman (Henry Cavill), and the stage is then set for a showdown between the man in black and the man in blue. Except, this doesn't come. Not for another ninety minutes. Ninety excruciatingly dull minutes in which not one character is developed, not one motive is explored, and not one theme is surfaced. Quite frankly, it's as bad as mainstream cinema gets. Ben Affleck just does not work as Batman. The film's script, penned by Chris Terrio and David Goyer, does him (nor the rest of the cast) no favours, but Affleck emotes in this film about as frequently as his car does. He is a lifeless presence on screen, and it is impossible to get behind him. The same can be said for Henry Cavill, who is somehow even less interesting here than he was in Man of Steel. He has no charisma, no emotion. His face is a blank canvas on which nothing can be read, so any time the film attempts to create some kind of touching moment between him and girlfriend Lois (Amy Adams), it falls entirely flat. Thank the Lord, then, for Jesse Eisenberg as Lex Luther. The character will not be to everyone's taste (and his motives remain unclear), but he at least offers the kind of quickfire dialogue and quirky charm that this film so desperately needs. The same can be said for Amy Adams, who somehow wrings just enough emotion out of her tepid dialogue to make her character bearable. In such a badly performed film, Eisenberg and Adams are the clear highlights. Come on guys, you're better than this. Things are worsened, though, by the fact that the whole of acts one and two are squandered on next to no material at all. Clark and Lois' relationship is so unexplored that one potentially poignant moment in the film's ending sequence fails to find anything personal between them to touch upon. Gotham City itself feels like empty territory, the city is little more than any other city from any other superhero film. What should be a new invigoration of an iconic comic book location is forced into sheer nothingness. Wayne's bond with butler Alfred (a game and underused Jeremy Irons) is empty, there is no connection between the pair at all. Whenever the film does decide to kick up an action sequence in the first two acts there is so little weight to it that Hans Zimmer's impressively dramatic score forces the film into spoof territory: it feels like we should be laughing at how overly dramatic the film is being while offering us nothing worthwhile. At the end of the second act, Lex Luther finally kicks the titular battle into motion, yet it plays on nothing that the film has done in the previous hour and a half. Dawn of Justice could begin at the ninetieth minute and still feel like exactly the same film. But then, the fight comes. 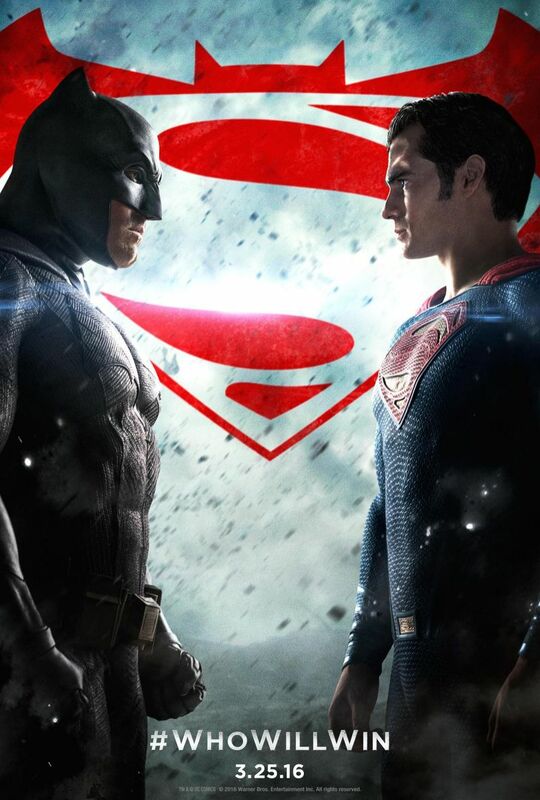 Batman and Superman face off for the first time on the big screen. And the whole thing is one giant mess. To say more about the outcome of the "greatest gladiator match in the history of the world" (?) would verge on spoiler territory, but I'll say this: it is poorly choreographed, blandly staged and it doesn't last very long. In fact, it's all over in a matter of minutes, after one scene that should be somewhat touching decides to focus on completely the wrong aspect of the Batman's character. The film finally has a chance to win back a few points with a clever and poignant exploration of who Bruce Wayne is, but Snyder misses the opportunity entirely, and then throws the final act away into a CGI frenzy that has little to do with anything else in the film. The editing becomes sloppy, what little plot we had crumbles away amid the VFX, and any hope for the film is entirely diminished. The final act is jam-packed with loud, rapidly paced action, but it doesn't pull it off in the ways that Mad Max: Fury Road or The Raid managed. It's all very clunky and, somehow, very dull. And those words can act as coverage for the whole film, really. Batman v Superman is a mess from the offset, and fails to capitalise on any chance it has to fight its way back. This is, undeniably, a very different film to anything Marvel have offered, and to compare this to any Marvel feature with regards to tone, visual style or premise would be unfair. However, it is impossible to ignore how firm a hold Marvel have on their characters and their themes compared to this. It is difficult to push aside the fact that even if Marvel tell the same story more than once, they consistently tell it well. Batman v Superman has a total disregard for everything that cinema should offer, and it does not work in any shape or form. It took Marvel four years to build up their catalogue of superheroes, and that's why each one feels defined and well thought out. Dawn of Justice attempts to do this in two hours, and we end up with a film that somehow feels both convoluted and empty. It spends more time setting up the rest of the franchise than it does focusing on what should have been an enjoyably epic showdown between the two most recognised superheroes the industry has to offer. The result is a film that is about as fun as using a pneumatic drill whilst nursing a bad hangover, and as exciting as a three hour seminar on bricklaying. Marvel, you ain't got nothin' to worry about. To Summarise: Poorly plotted, woefully unfocused and painstakingly dull, Batman v Superman: Dawn of Justice is a categorically bad example of both blockbuster film-making and franchise development.